Rieke Common is borne on the 21st of February 1969 in Münster. She had “Fashion in her blood” from the beginning and started her career at Bernd Berger and Strenesse after a master degree in Fashion Design. 1999 a big dream became true and Rieke Common went to join Oscar de la Renta in New York. 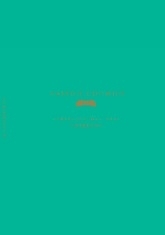 After three years in the US Rieke accepted the offer oft the Couture House RENA LANGE and went back to Germany in 2001. At RENA LANGE she was Creative Director until 2007. With all this experience and high motivation Rieke Common felt the time was right to make steps toward her own company. In 2008 she joint the high-graded label M.A.C.S. Munich with the idea to take this as a fundament of the own business. In the years 2008 and 2009 Rieke became mother of two children Oscar and Frida. 2014 Rieke bought the company and transformed it into MAISON COMMON to reflect her own strive for style, quality and modern unique Design in the Luxury Segment. Maison Common is a small but one of the finest fashion houses in Germany. Rieke Common started her career with Oscar de la Renta and was responsible for Rena Lange for many years. The brand creates contemporary fashion with the utmost dedication to luxurious materials, detailing and couture-like manufacturing 100% made in Germany. The collection is always colourful, feminine, made with love and an ironic twists. Nearly all raw materials such as fabrics, trimmings, prints or buttons are exclusively developed for Maison Common. 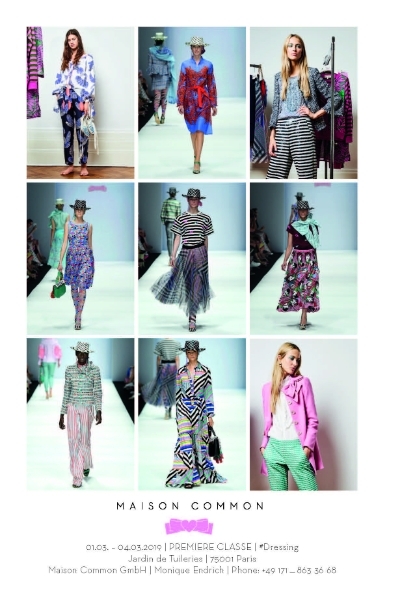 The perfect fit is the core business of Maison Common with a size range from 34-50. 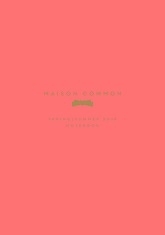 Maison Common is distributed at leading international retailers and department stores for example Loden-Frey or Nieman Marcus.